WARSAW, Poland (AP) — The son of a Nazi official has returned three artworks that his family had looted from the southern Polish city of Krakow during World War II. 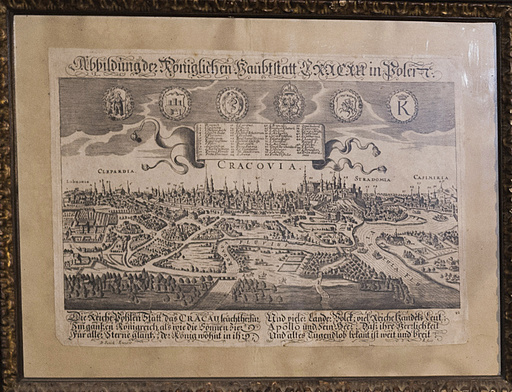 In the ceremony Sunday in Krakow, von Waechter returned an 18th-century map of Poland, built into a small table, and two historic drawings that his mother, Charlotte von Waechter, had appropriated there in late 1939. It was shortly after her husband, Otto von Waechter, had become governor in the southern Polish city occupied by German and Austrian Nazis during the war. Von Waechter ordered the Krakow ghetto be set up in 1941. The handover took place at the office of the Krakow provincial governor and was the result of efforts by Polish historian and politician Magdalena Ogorek, according to Krzysztof Marcinkiewicz, spokesman for the governor. He said one of the paintings had Charlotte von Waechter’s handwritten pencil inscription saying it came from the Potocki Palace in Krakow, where the Waechters resided during the war. Ogorek told The Associated Press she spotted some Poland-related objects at Horst von Waechter’s castle in Austria while she was doing research there about his father, who died in unexplained circumstances in 1949 at the Vatican while waiting to be smuggled to Argentina to avoid facing justice. She said von Waechter returned the objects to Krakow for no compensation. “He gave a good example to others and we should be happy about this,” Ogorek said. Poland was severely damaged during World War II, its palaces, museums and libraries bombed and plundered by the Nazis and by the Soviet Red Army from 1939-45. The government continues trying to retrieve looted artworks and the Culture Museum has posted a list of many of them. Some of the artworks occasionally surface at auctions around the globe, leading Poland to negotiate the terms of their return.